Lavender is one of the most soothing and calming scents. 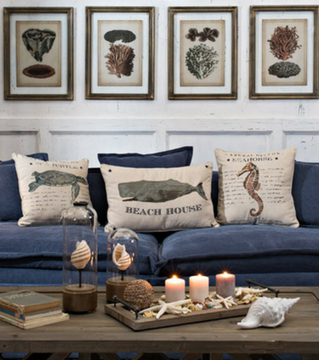 It is fresh, clean, and has a natural relaxation element to it. 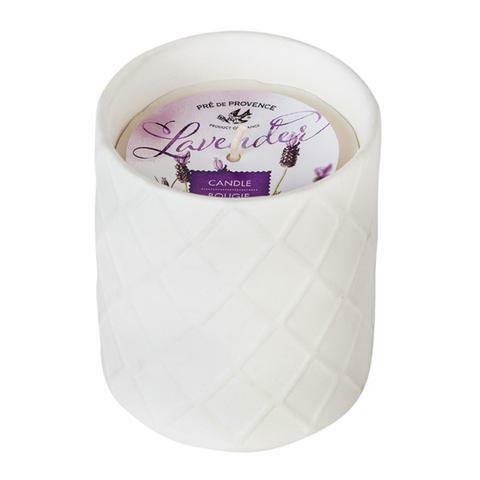 Ignite those senses with this Pre de Provence Lavender Soy Candle. 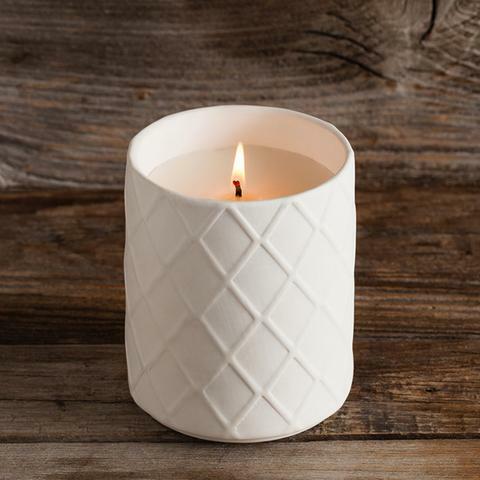 The plain white ceramic container has a lattice design that adds both interest and texture. This container can be re-purposed once empty for a plant, pen/pencil holder, or even or tea lights.